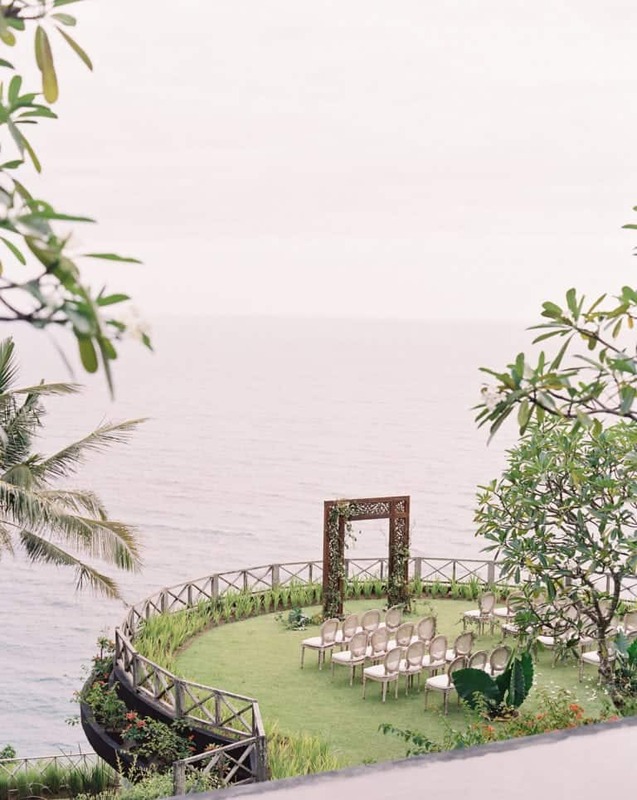 If you’ve ever dreamed of exchanging your vows high on a cliff above the ocean, the sun setting romantically behind you and the breeze gently lifting your hair a à la movie set wind machine, then Bali is the destination for you. 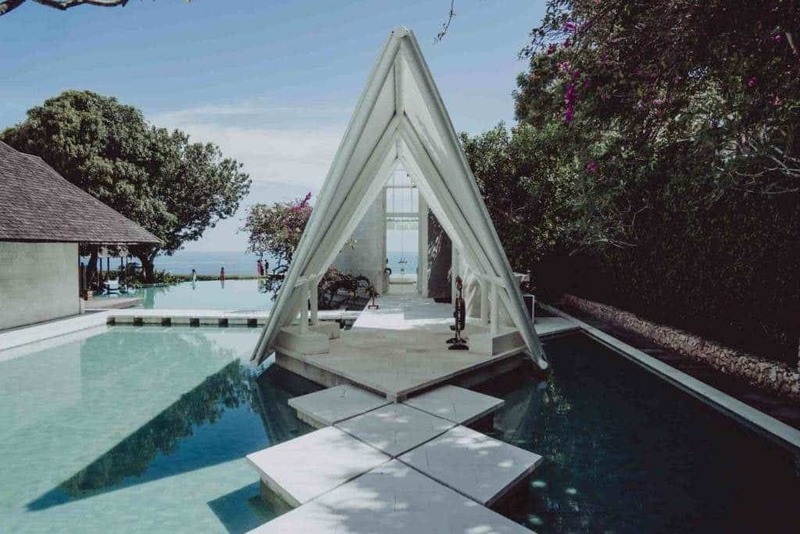 More specifically, the Bukit Peninsula in southwest Bali. 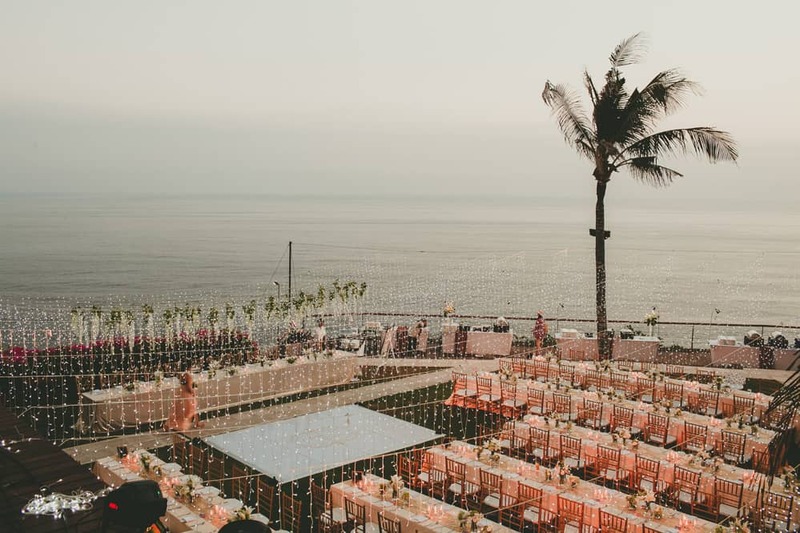 Famous for its dramatic cliffs and incredible views and consequently home to some of Bali’s most spectacular and exclusive resorts and wedding venues. 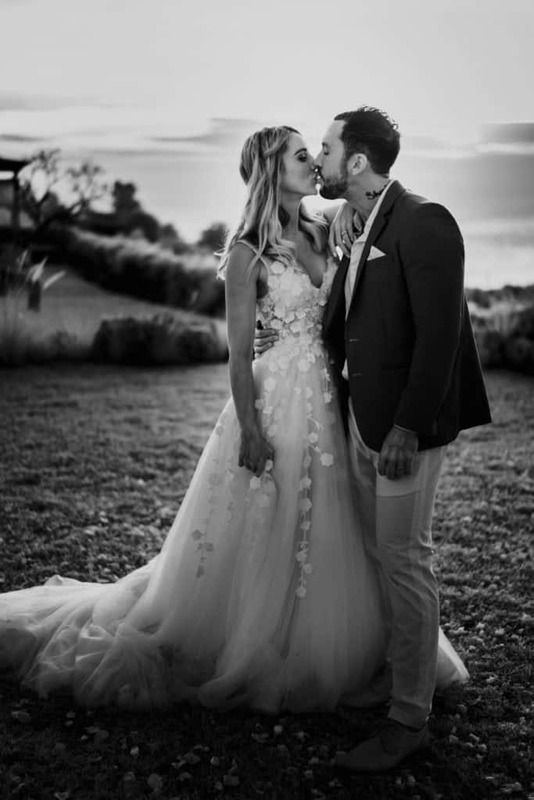 We’ve rounded up the absolute top 9 most Instagrammable celebrity-wedding-worthy clifftop venues. 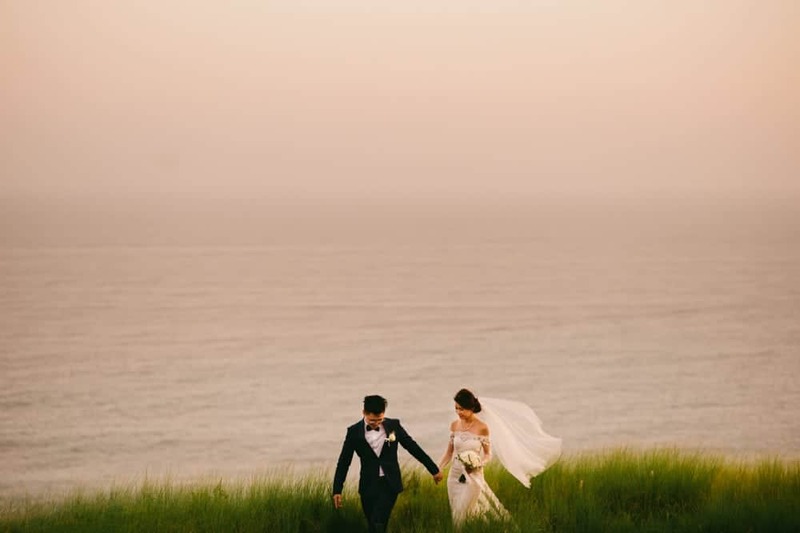 Occupying the highest position on the dramatic limestone cliffs, this 5-star resort’s luxurious accommodation and breathtaking views make this one seriously impressive venue for your wedding. 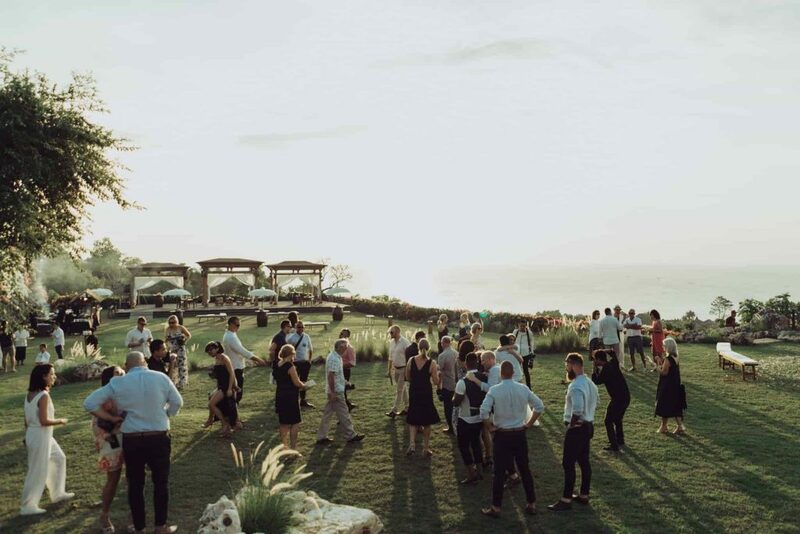 A purpose-built venue on acres of clifftop gardens, unlike a resort you have absolute privacy. 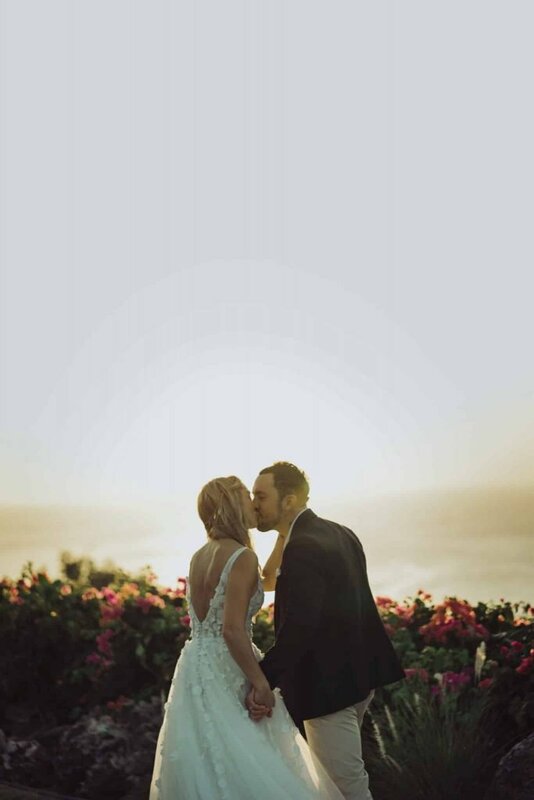 With a prime west-facing position on the cliff, you’re in the perfect spot to capture the setting sun over the ocean – a once-in-a-lifetime experience. 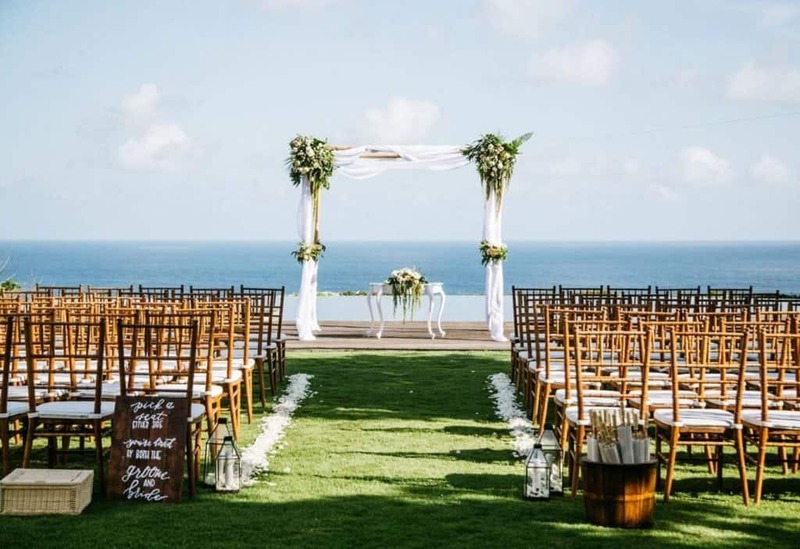 With its picturesque white colonial-style villas and luxurious green lawns, The Ungasan has hosted its fair share of celebrity weddings and is beloved by couples seeking an elegant, romantic clifftop wedding. Tirtha Bridal is a purpose built wedding venue perhaps most famous for its glass chapel with aisle over a still pool of water. With a gorgeous outlook from cliff out to the ocean, it’s a photographer’s dream. 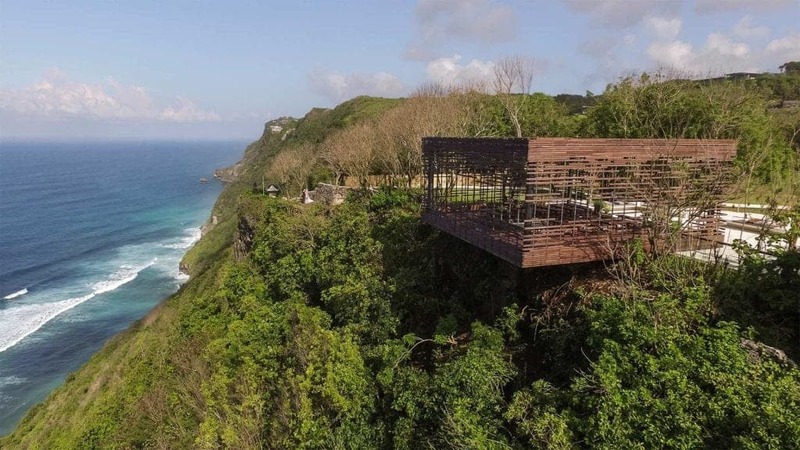 With a bold contemporary structure cantilevering out from the cliff, it doesn’t get much more dramatic than this! Alila is also a favourite with couples who love all the luxuries of a 5-star resort. This chilled-out surf accommodation is a lovely contrast to the exclusive luxury resorts that dominate this area. Set a little lower on the cliffs, this gives you a stunning view of the famous limestone cliffs as well – being up high is certainly thrilling, but they higher you go the less you see of the cliff! On the southernmost tip of the peninsula, Pandawa offers accommodation for up to 42 guests, giving couples total privacy and the convenience of having all their guests stay on site. 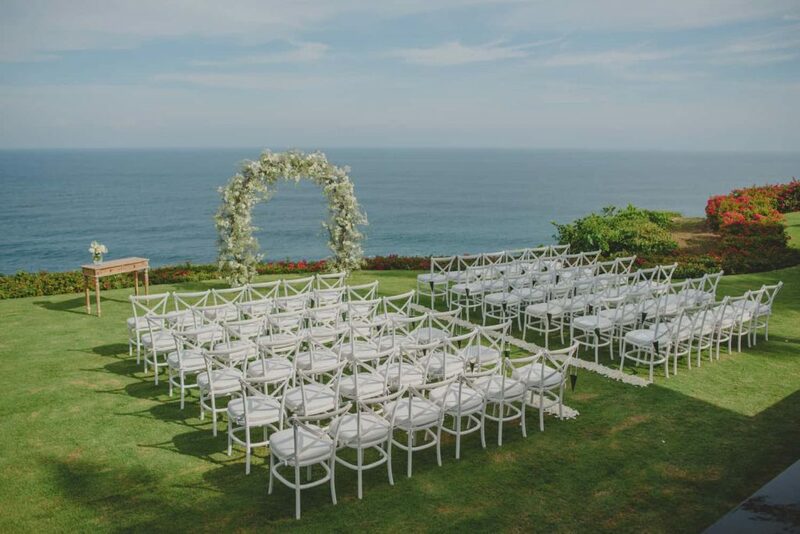 Combined with its incredible location, this makes Pandawa a very sought-after clifftop wedding venue. Once a luxurious private residence, the estate’s carved timber villas and lush gardens make it feel like your own private village. Atop the limestone cliffs of Uluwatu, it’s a private paradise with a view to match. 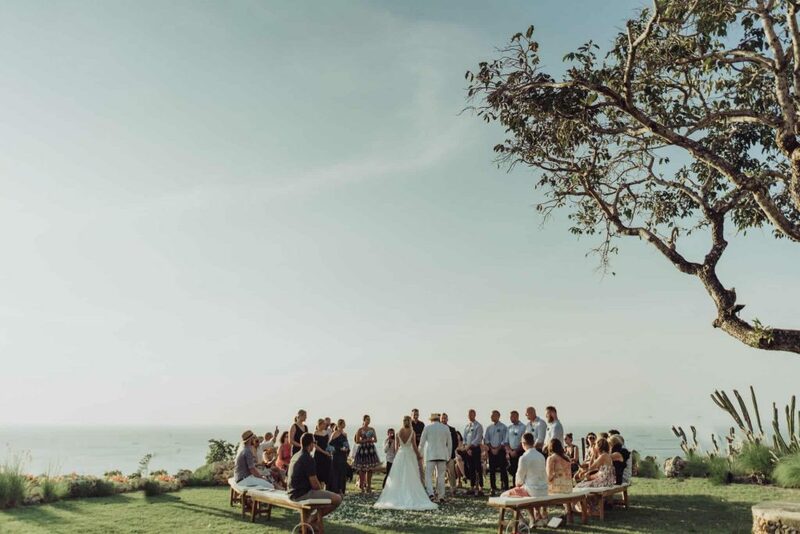 With heaps of different wedding locations to choose from, this five-star resort is one of Bali’s most popular wedding locations. Favourites include the contemporary white chapel, the famous Ayana Rock bar which overhangs the rocky cliff, and the Ayana Villa with stunning views over the water.